Jolaine Kerley is active as a soprano soloist, voice instructor, adjudicator, choral conductor, and clinician. She is currently Assistant Professor of Music at Concordia University of Edmonton, while maintaining a large private voice studio in Edmonton and area. 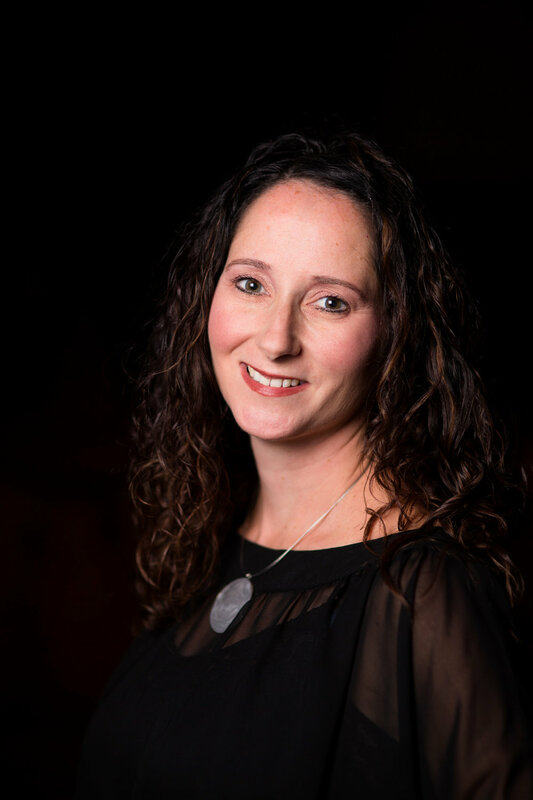 Jolaine is artistic director of Ariose Women’s Choir and conductor of the Archbishop Jordan High School Choral Program, as well as interim director of Bella Voce Women’s Ensemble. Jolaine has received undergraduate degrees and graduate degrees in voice and choral conducting from the University of Alberta, and a graduate degree with a major in voice and minor in choral conducting and music history from the Early Music Institute at Indiana’s Jacobs School of Music. Jolaine has been heard frequently as soprano soloist with choruses and orchestras throughout North America. Most recent solo engagements include David Lang’s The Little Match Girl Passion with Pro Coro Canada, Copland’s Eight Poems of Emily Dickinson and Barber’s Knoxville: Summer 1915 with the Concordia Symphony Orchestra, Brahms Ein Deutsches Requiem with Pro Coro Canada, Alan Bevan’s Nou Goth Sonne Under Wode at Carnegie Hall in New York City, and with the Portland Symphonic Choir this past May, 2018, and Haydn’s Mass in Time of War and Alan Bevan’s Last Light Above the World with the Richard Eaton Singers in November, 2018. Upcoming solo engagements include Bach’s Johannes Passion with Calgary’s Professional vocal ensemble Luminous Voices in 2019. Meghan Rayment holds a Bachelor of Music from the Augustana Faculty of the University of Alberta, a Master of Music in Choral Conducting from the University of Alberta as well as a Bachelor of Education from the University of Alberta. Meghan has had the pleasure of working with various ensembles in Edmonton and surrounding areas, including the All-City Junior Choir and Edmonton Junior and Primary Choirs. She is currently teaching elementary music at Mary Hanley School. Meghan’s academic achievements have been acknowledged through awards such as: the Beryl Barnes Memorial Graduate Award, the John and Logie Drew Graduate Scholarship in Choral Conducting, the Swiss Ethnic Music Award and the Queen Elizabeth II Graduate Scholarship. Helen holds a Bachelor of Music with distinction from the University of Alberta. She maintains a busy teaching and accompanying schedule in the Edmonton area. Helen accompanies numerous choirs, including Edmonton's Greenwood Singers, as well as several youth choirs.